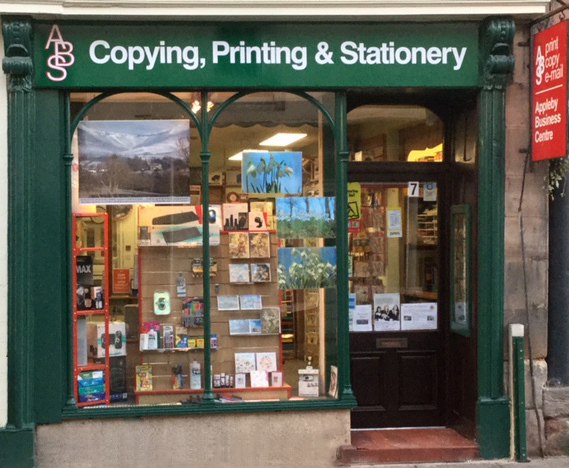 office or home, printing (including draw tickets), copying and scanning. We offer multi-part books/pads/sets, posters up to A1, leaflets, business cards, compliment slips, headings, menus, booklets, etc. In fact, anything to do with print ~ the majority of which is produced on the premises. 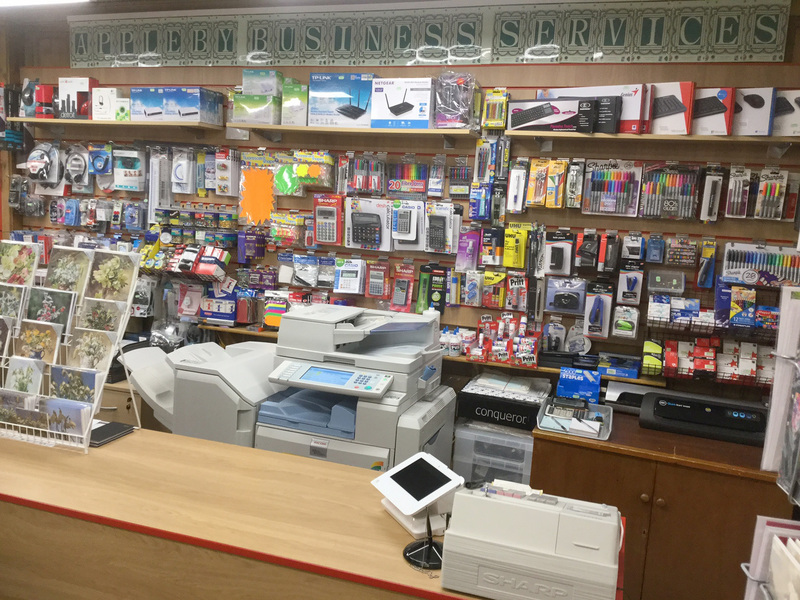 Fully refurbished following the 2016 flood we have extended the rear of the shop to offer an even greater range of products. 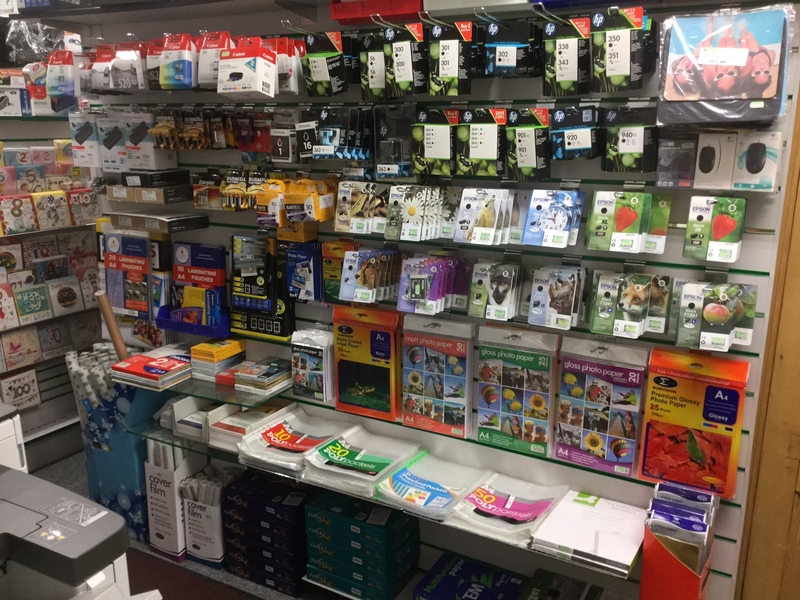 We sell a vast range of greetings cards, plain paper and card (copier and photo paper), inkjet cartridges and printers. leads, adapters, computer mice, keyboards, speakers and many other accessories. To enquire or place an order please phone, e-mail or pay us a visit in person.